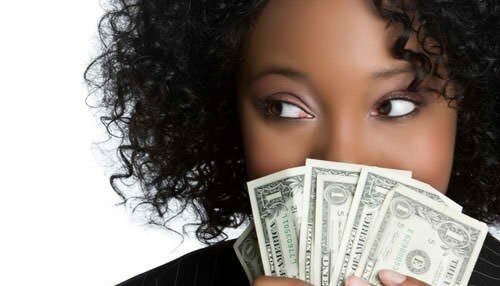 This article is the seventh of a fourteen-part series that explores the core tenets of Get Rich Slowly. I struggled with debt for over a decade. I made several attempts to tackle the trouble, but nothing seemed to work. Compulsive spending was part of the problem, I bought anything I wanted, even if I couldn’t afford it, and there was another factor, too. Everything I’d read gave the same advice for debt reduction: Start by paying off your highest-interest rate debt. I understood the logic behind this, but I couldn’t make it work. The trouble was that my highest-interest rate debt was also my debt with the biggest balance (a fully-maxed $16,000 credit card at 21% interest). I’d plug away at this for several months at a time, but then give up because it felt like I was never getting anywhere. Then I read about the debt snowball approach in Dave Ramsey’s The Total Money Makeover. It blew my mind. Here was somebody saying that it was okay (good even) to do something different, to start by paying low balances first. I tried it, and 39 months later I had eliminated over $185,000 in consumer debt. In the process, I learned a valuable lesson. In order to succeed with money, sometimes you have to ignore the conventional wisdom. Sometimes you simply have to do what works for you. There’s too much dogmatism in our culture. People are convinced that their way is the right way to do things. I don’t begrudge those who are certain they’re right. When something works for you, you have a tendency to believe it’s the right choice for everyone else, so you preach it with fervent passionate. I understand that. The problem, of course, is that we’re all different. Your religion, your politics and your financial tips work for you, but won’t necessarily mesh with my situation and experiences. And mine won’t fit with yours. There are few one-size-fits-all solutions in personal finance, or anywhere else. As I hinted earlier, there’s no right way to pay off debt. Yes, you’ll save a little if you tackle the high-interest stuff first, but you may have better chances of success by starting with low balances instead. There’s no right way to invest. I like real estate, but you might prefer individual stocks. There’s no right way to tackle your mortgage. Some experts recommend paying it off quickly; others recommend stretching it out as long as possible to take advantage of the low interest. The best choice is the one that best matches your goals for the future. There’s no right way to be frugal. Some folks are unwilling to sacrifice organic groceries, and others are unwilling to take the bus. That’s fine. Find ways to practice thrift that fit your lifestyle. Joint or separate finances, this can get confusing if you are not in alignment with your goals? There is no right answer. Just because you can’t conceive that a couple can have a strong relationship with separate finances doesn’t mean that it’s impossible. Millions of people do it with no problems. There’s no right way to budget. Some people use a loose framework to guide their spending. Others need detailed line items. The best budget is one that you’ll actually use. When the belief that there’s just one right way to do something traps you, you set yourself up for failure: If this “right” method doesn’t work for you, you have no other options. You have to keep using it, even if you keep failing. Now it’s time to change your blueprint for new financial directions. If you allow yourself to consider other options, you give yourself multiple pathways to power insuring success. Yes, you could use the “right” method, or you could take a different path to reach the same goal. I’m not saying that it’s okay to do anything you feel. It’s not okay to keep on spending just because dealing with your debt is difficult or uncomfortable. I am saying it is okay to try something new when what you’re doing doesn’t work, and it’s okay to ignore the naysayers who complain that you’re “not doing it right”. You want to find what works for you, not for somebody else. Don’t listen to anyone who tells you there’s just one right way to do something. Each person is different. What works for one person may not work for another. Be willing to experiment until you find methods that are suited to your life. Make informed choices, understand the consequences, and focus on your goals.